Minh Hien is a small family-owned vegetarian restaurant in the ancient town of Hoi An. It serves vegetarian versions of local specialties such as white rose not found elsewhere. Why Minh Hien Vegetarian Restaurant is special ? Minh Hien vegetarian restaurant cooks the traditional style of Vietnamese food that has become lost because life has become so busy. Some Vietnamese people have forgotten how to create many of these simple, delicious, and nutritious dishes of Vietnam. They cook unique and traditional Vietnamese vegetarian dishes. 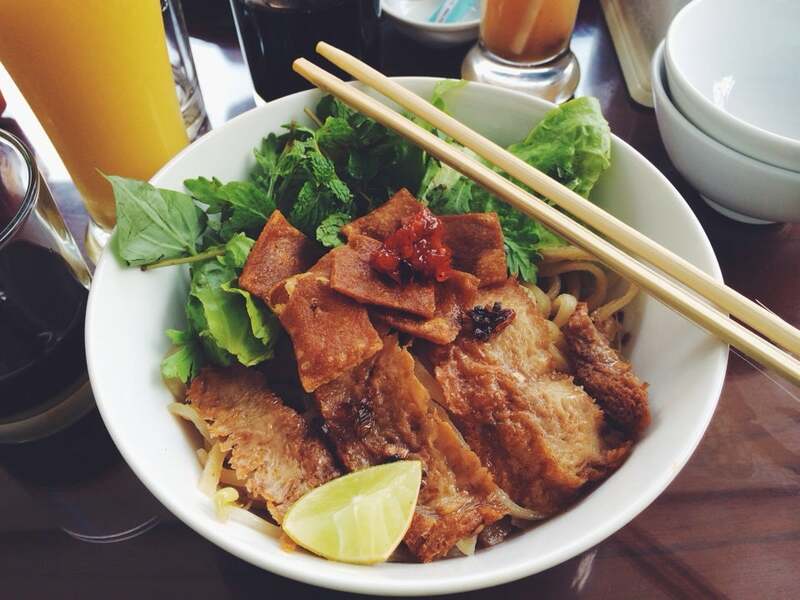 They are not the luxury foods from the palace – just the healthy and tasty traditional cuisine of Hoi An and Vietnam. Minh Hien vegetarian restaurant will be one of your dining options when you visit Hoi An. 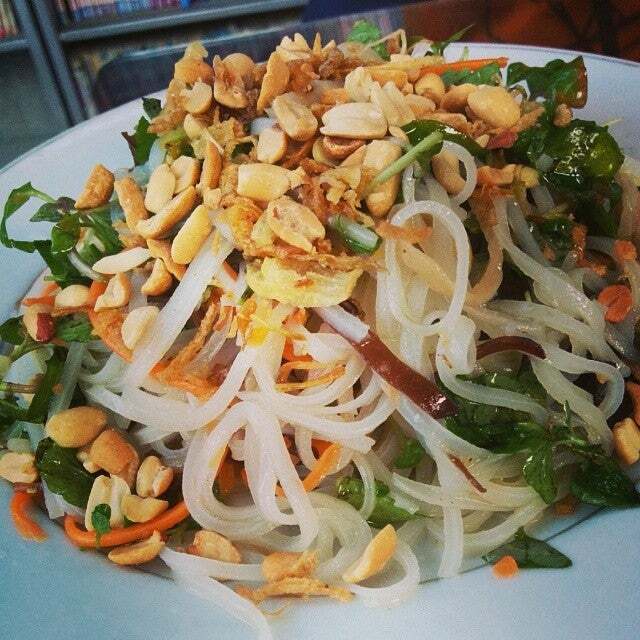 They will try their best to bring you happy, healthy meals and Vietnamese vegetarian recipes that are easy to create. How to get to Minh Hien Vegetarian Restaurant? Minh Hien on Tran Cao Van Street is just a bit north of the Old Town, it maybe 5 leisurely minutes by bicycle. You can also walk to the place. You can sign up to a 2 hour cookery class (these run at 11am and 4pm each day at a cost of USD15 per person). They serve a local wine from Dalat that comes in at $1.50 a glass or ~$6 a bottle, and their fresh beer costs 3,000 VND. You should try one of the set-menues so you have a wide range of tastes. This restaurant is know to serve veggie versions of the local specialties of Hoi An. Minh Hien Quan Chay is located in a narrow lane opposite Cafe 43. As a vegetarian in Vietnam I've been having a mixed experience. Even though meat and fish-free food is available in many restaurants, I was struggling with the meat stock and fish sauce used to make all dishes so this lunch was a very welcome treat. We were eating in Cafe 43 across the road (also does lovely veg food) and spotted this place and came back the next day. We shared a special of noodles with fresh turmeric and chives, cauliflower fritters, tofu with lemongrass and chilli and their version of cau lau and I loved all of it. My friends, who also love meat and fish, enjoyed it too. The bill, for 3 with 3 large beers, came to just 256,000 dong, which is our best value meal so far and the service was friendly and quick. I highly recommend this both for fellow vegetarians and your carnivorous friends.